Practical Skywatching is a guide to observing the night sky from your own backyard. It also serves as a comprehensive source of reference, detailing our current understanding of the deepest regions of the universe far beyond the range of the home telescope. 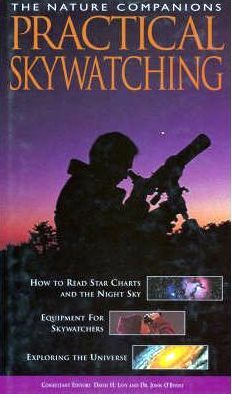 Designed for observers in both the Northern and Southern Hemispheres, Practical Astronomy provides advice on selecting the right tools for the kind of Skywatching you wish to pursue so that you can get the maximum enjoyment from your hobby. The book includes a stunning selection of photographs. Garnered from space missions, these images afford us close-up views of the planets, stars, nebulae and galaxies. Detailed diagrams and maps further our understanding of the workings of the universe.